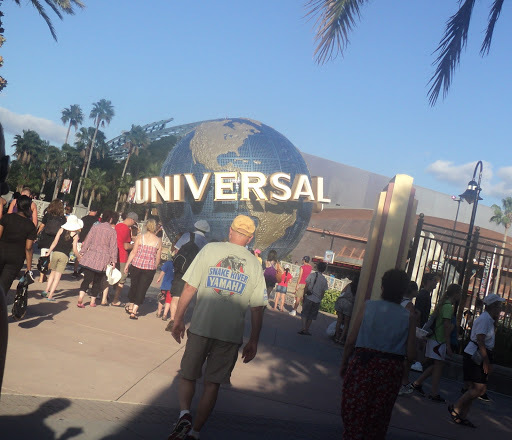 Universal Studios is what I call the real AMAZING deal. If hollywood had wings, Orlando is where it would be. Not only was it perfectly accurate in terms if all the sets and studios, but they had all these shows there, which gave us the feel of being in a real studio. For a minute I was actually confused whether this was just an amusement park built for us visitors or a place where professional real shooting takes place. We couldn’t go for everything, but here are a few things that we did go for. 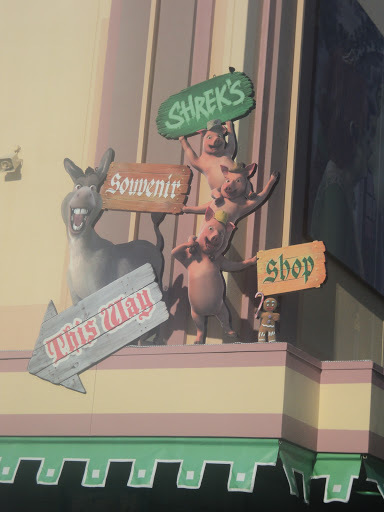 First was the Shrek 4D show. So we sat in a 4D theater which meant 3D + Sensing. So it was like each time donkey sneezed and his wife (the dragon) blew fire out of her nose, we’d find ourselves sprayed with water. It was really fun! So the story of the whole show was of the guy who was the king in the first movie returning as a ghost and trying to get Fiona to die so that she would join him up there as a ghost too. But we all know how all fairytales (and shrek) always end. 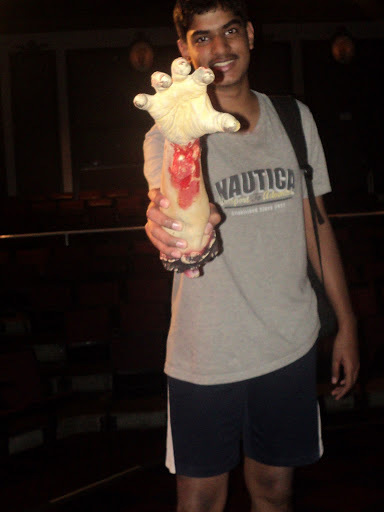 The second place we went to was the Horror make Up Show. So that was basically about all the make up that artists use in horror movies to make humans look like other creatures or monsters. There were two hosts of the show who actually showed us some of the techniques of horror make up using a volunteer (or more like pull out) from the audience! 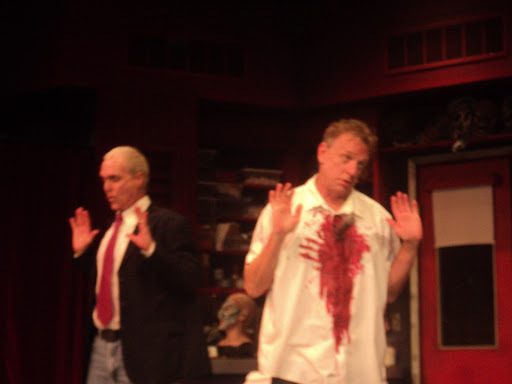 The 2 hosts fool around, one with a knife pierced into his chest and blood flowing out! Dr Make Up gets ready to get the volunteer’s arm. The trick is that there’s a whole in the knife around the edge, which fits perfectly around one’s arm! There were a few other tricks they showed us, but that is for you to see with your own unblinking eyes! 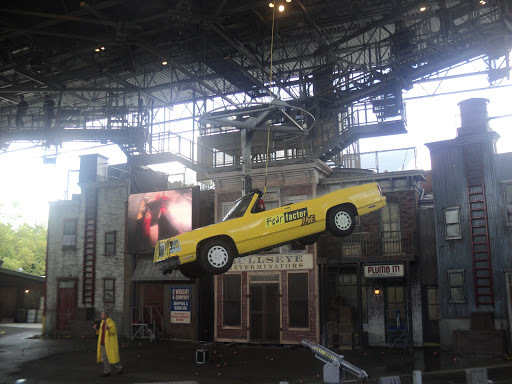 After the horror show, we went for FFL AKA, Fear Factor Live. 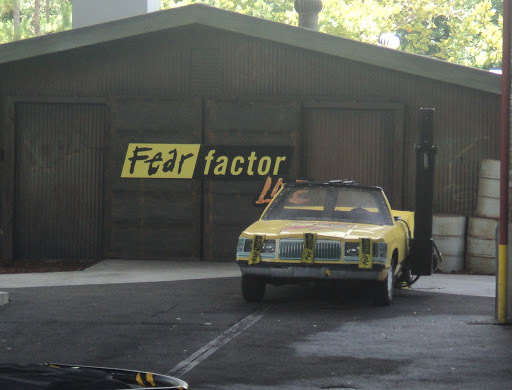 Now as everyone probably already knows, Fear Factor is just what it’s name suggests. Basically a bunch of crazy unimaginable tasks that celebrities perform and compete in to win! So in this case, they had the whole set done up as if they were really shooting. 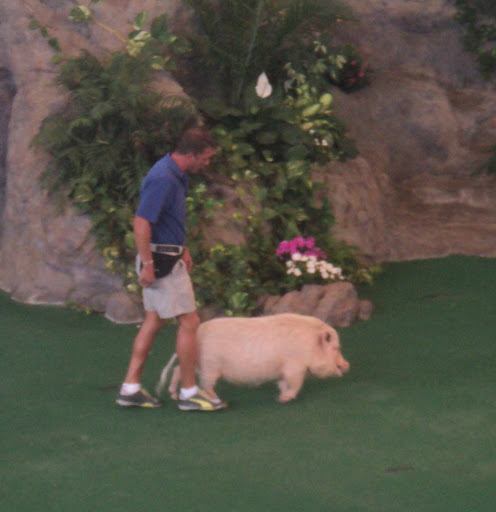 But the difference was that instead of celebrities, it was the visitors of the park who could participate. All they had to do is reach an hour early before the show. And they were made to do the same things people do in fear factor. 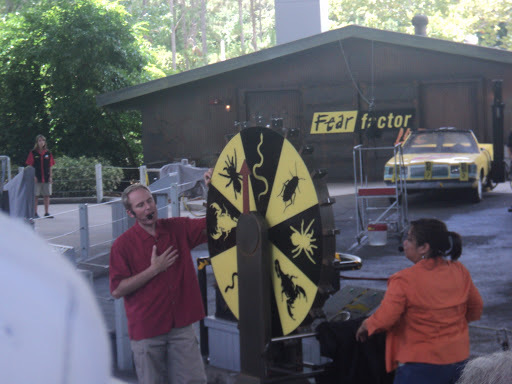 The wheel decides that a scorpion must go on the head of the person doing the task-another member picked out from the audience. The 4 contestants on their next task-they must pair up and as a team aim to collect as many fish in the basket. One has to throw and the other catches. 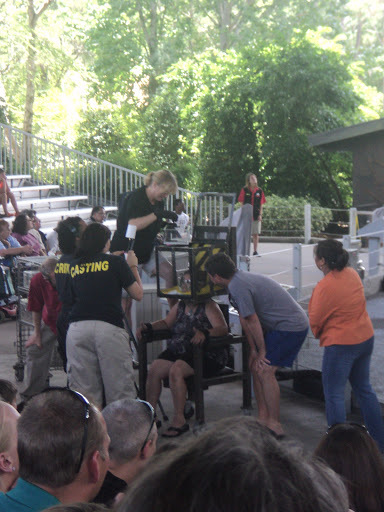 Another commercial break-4 members of the audience get to have a drink of crushed worms-the fastest ones win! 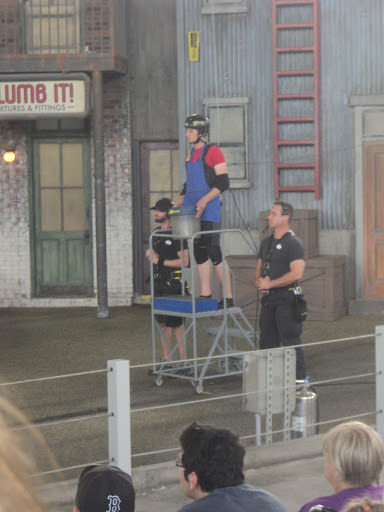 The last task between 2 competitors-Rob and Nathan-an obstacle course through which they have to collect flags asap. 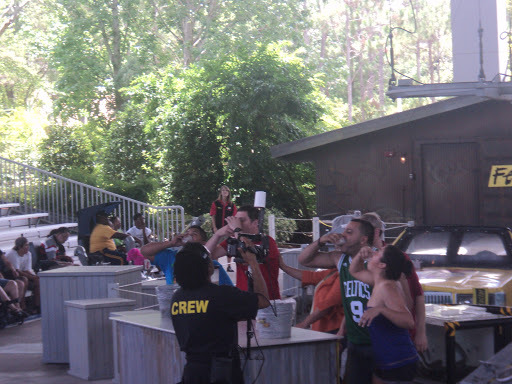 By the end of it, I had made up my mind to go home and find some episodes of Fear Factor on the internet! 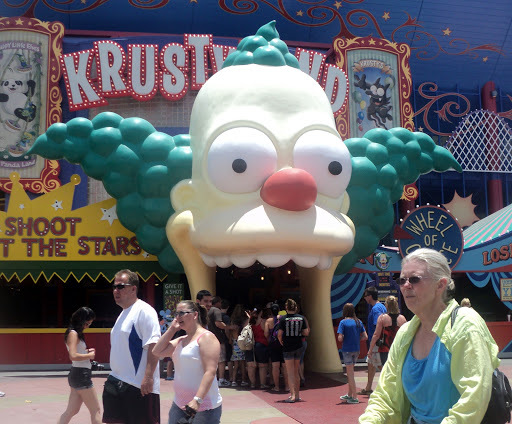 Well next came the Simpson’s ride. It was plain fun. 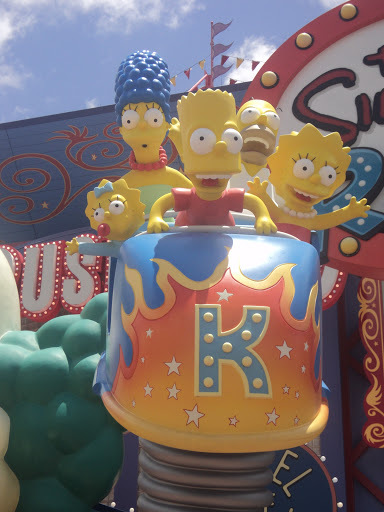 They took us on a virtual reality ride wherein this one guy was destroying stuff all over town while the simpsons stumbled around..and so did we! 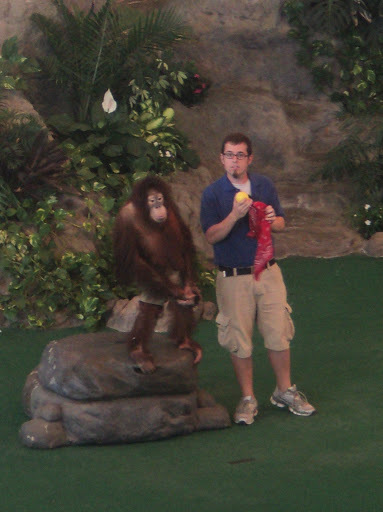 After the Simpsons, we went for this show called “Animal actors on location”. 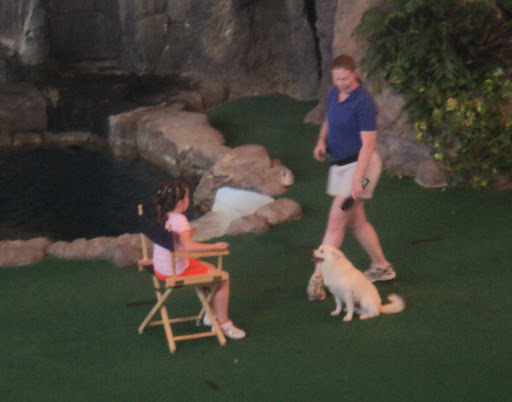 So they showed us how they trained animals for the movies. 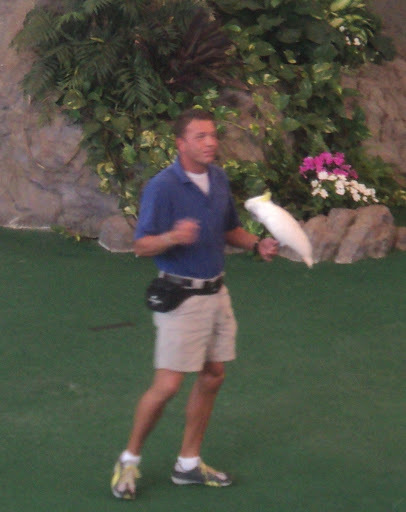 The instructor tells the bird to fly across to the lady in the audience who was asked to stand up with a $1 not in her hand, and fly back with the dollar note, which the bird did! 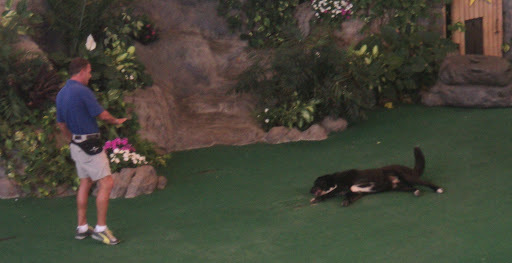 It was nice to see all these animals putting up something so amazing, but at the same time i felt sad to see them held captive like that and put in front of audiences 5 times every day. Our next stop was this amazing rock n roll show! It was more like a monster rock n roll show. 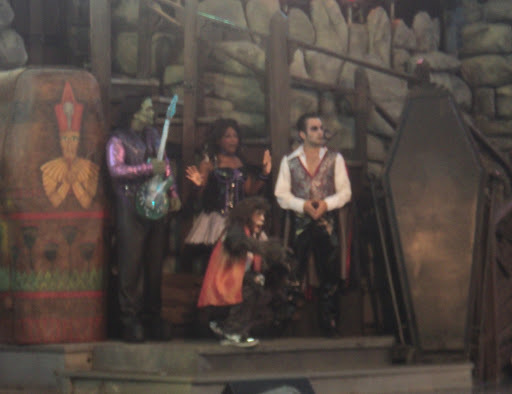 It was a concert by people dressed as all kinds of fictitious people. But at the end of it, it was amazing! And so much fun! The heart and soul of the show! We went to the disaster studios next. 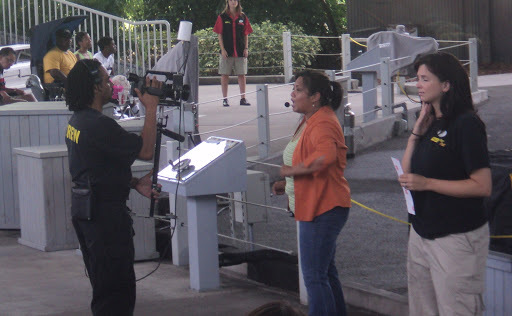 It was this show where they showed us how they make disaster movies. 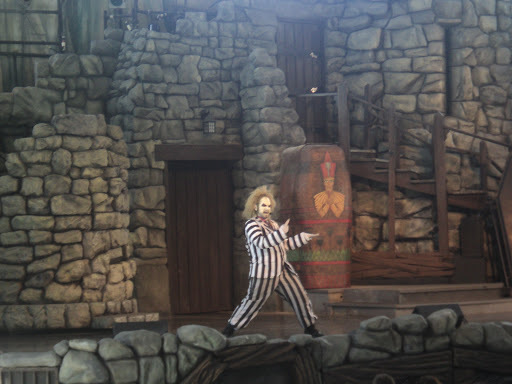 They picked up some people from the audience and they made them do stuff like scream or pretend to be falling in slow motion, or jump around or just wave. They recorded all of this and then they edited it and showed us a disaster movie with those very people in it. It was incredibly funny! I loved it! 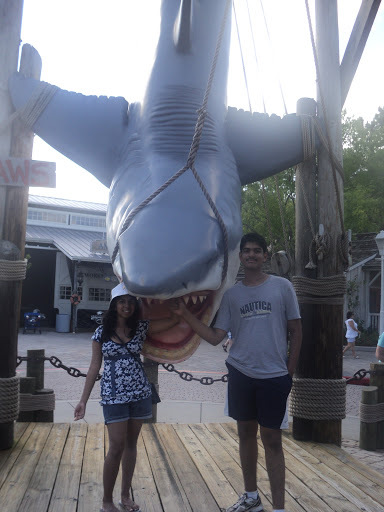 After the disaster studios we went for Jaws. It was this slow boat ride on the sets of jaws, and every now and then a shark would crop up from nowhere near the boat and freak us out. 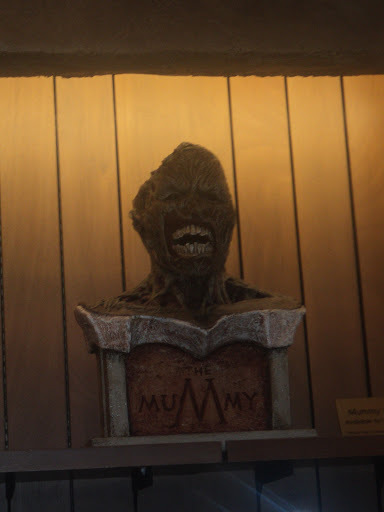 The last ride we went on was the revenge of the mummy. That was the best roller coaster i’ve ever been on. The effects were incredible! A statue for sale-wonder who would buy it? So that was our last day at Orlando. And a perfect way to spend it. It was a fun week. 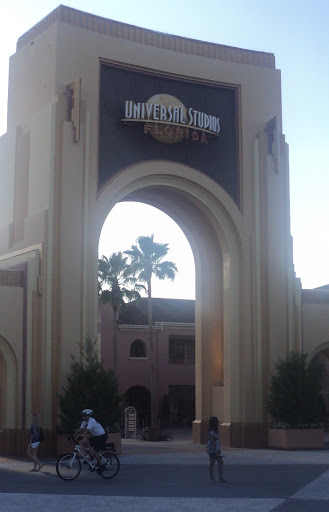 I am going to miss Orlando-all its happiness! And one more thing..I am definitely coming back to Florida!!!!!! What a wonderful description, well done.